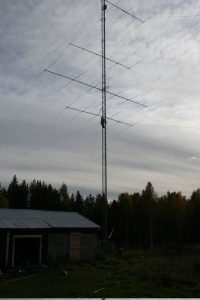 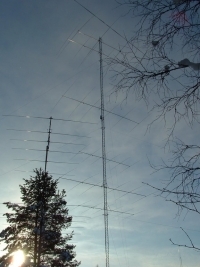 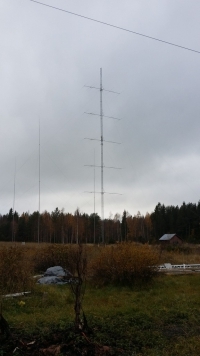 On 15m there are currently three different antenna systems. The main antenna system is an own design by SA2BRJ and me and consist of 6/6/6/6/6el stack at 53/44/35/26/17m and sits in a 60m high rotatable tower. 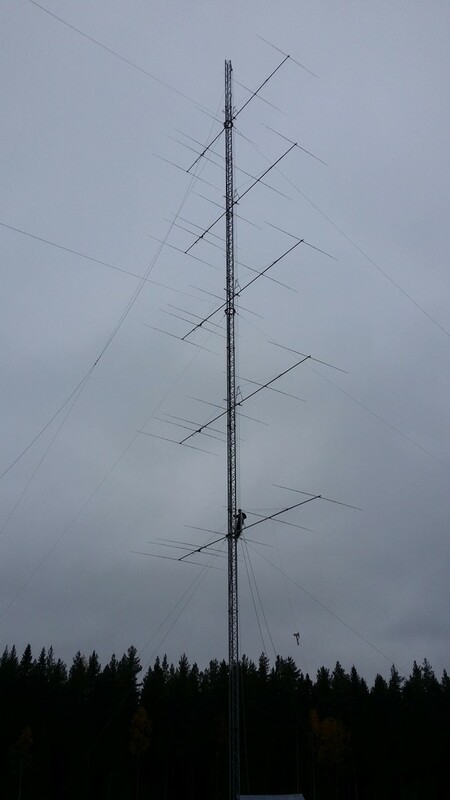 There is also a 6/6el monoband stack located 28/17m up in the 60m tower and is the secondary antenna system. 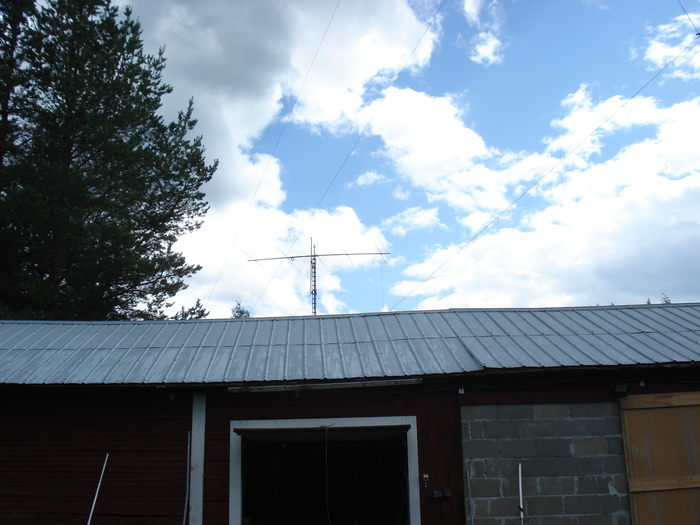 The third antenna system is a 5el monoband yagi sitting 19m up with an own rotator, and this is our so called independent multiplier antenna. 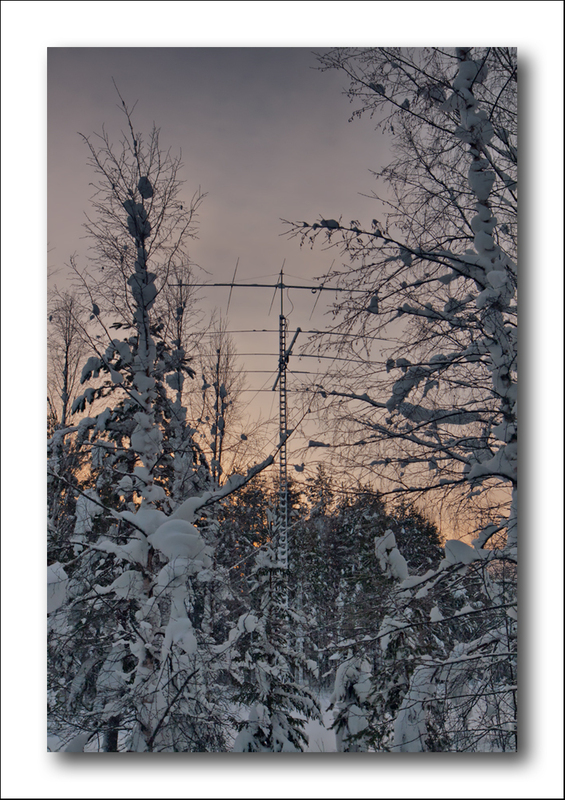 The cable for the big stack is 1 1/4″ out to the tower (about 100m) and then there is 7/8″ cables in the tower between all the antennas and to the stack box. 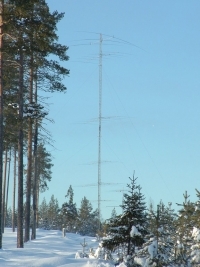 The cable for the 6/6el stack is first a 7/8″ cable running out to the tower base. In the tower there is about 23m of RG-17 and after the stack box there is a RG-213 running out to each antenna. 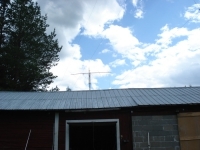 The 5el monobander has got a 7/8″ cable with a RG-217 jumper cable attached to the antenna. 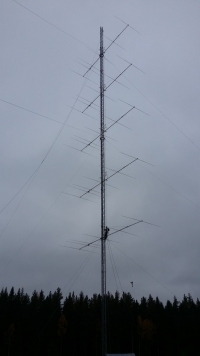 The stackbox for the big stack makes it possible to run three of the antennas out of phase in any combination and there is also an option to just run the bottom three antennas.